We won’t know the box office numbers on the new Dr. 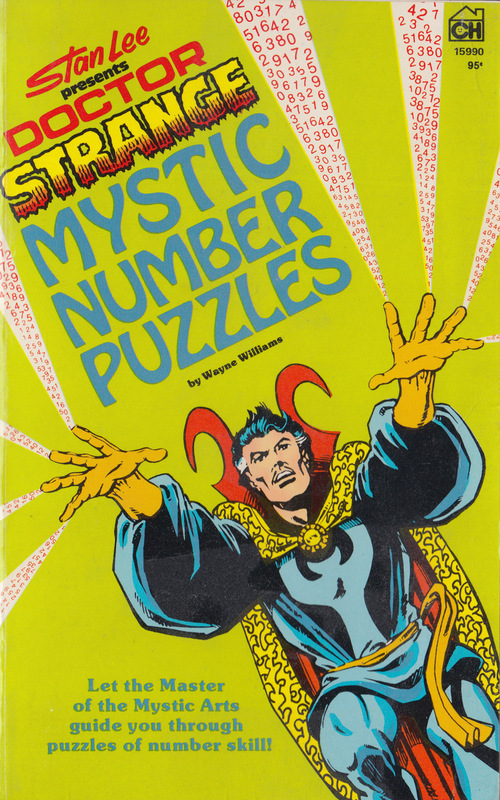 Strange movie for another week, but until there, here’s some Doctor Strange Mystic Number Puzzles to hold you over! 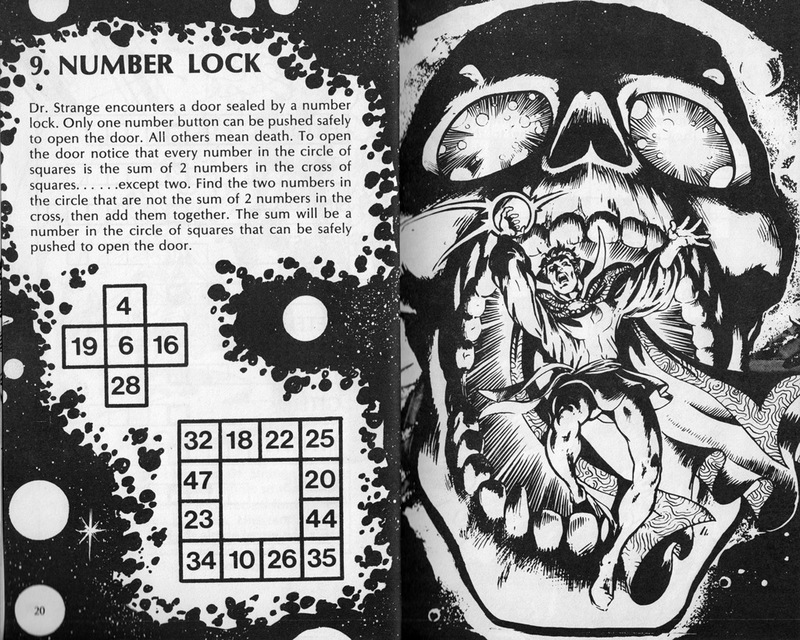 Written by Wayne Williams and printed by Cinnamon House in 1978, this puzzle book boasts 23 daunting digit dilemmas and tons of great old comic art. (Art is credited to Duffy Vohland, Jeff Aclin and Dwight Zimmerman with a John Romita cover.) So if you can’t work the numbers, you can have fun coloring! 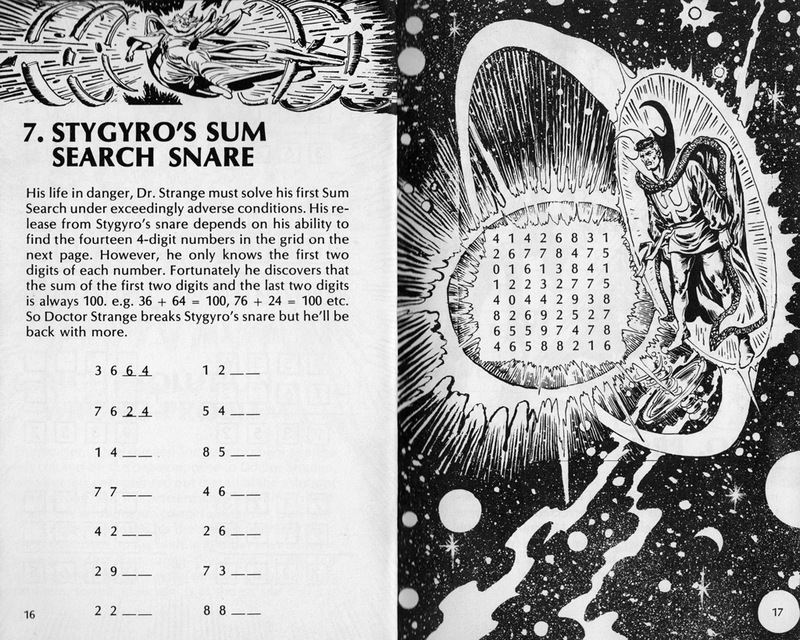 So click the cover image above, or just click here to download the entire PDF to puzzle over in your own personal Sanctum Sanctorum. Enjoy!